What do you understand by the contract management? People who are not from law background generally don’t know what it is. It is a never ending or continuous process of procurement in which it is ensured that the parties to the contract, that is, the supplier and the buyer must discharge their duties as per the agreed agreement of the contract. In addition to this, it manages the negotiation of any changes that may take place sometimes in future during the period of an agreement. 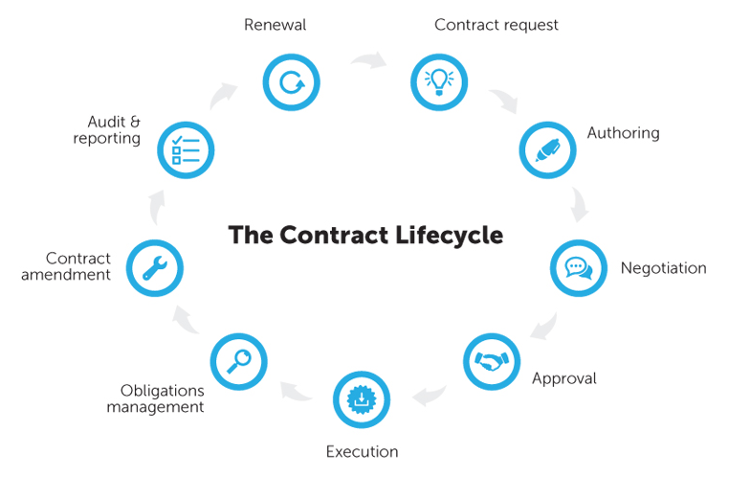 But what is contract management cycle? In general terms, it is also called contract life cycle management. Contract management is not restricted to contract between two parties; it is now extended to all the people who are related to the contract. 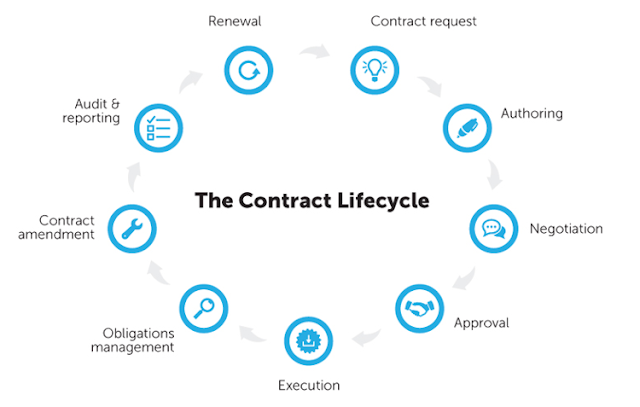 The process of administrating the whole process right from the stage one to the last is called contract life cycle management. The first thing that is mostly followed is to bring all the relevant papers of the contract at one place. And then capture the various data. Once you are done with the capturing process, you should go for tracking important data (if any) so that you don’t have to miss any high point. This process not only affects the old contracts but also the one which is newly signed. After tracking, you should focus your attention towards fast creation of new contracts. This process involves setting templates of contract and clause library and this all done for empowering the users of business and legal process so that the new contracts can be made more quickly and in a controlled manner. Here comes the actual creation of contracts. Once the contracts are created it should be approved and reviewed by any right person like arbitrators, auditors etc. After the contract gets approved, you have to appoint a negotiator so that he can help you in negotiating few terms and conditions. After finalising the contract, it is required to be signed by the agreed parties. The signed copies must be stored by both the parties to the contract. The final contract must be analysed by the business entrepreneurs for various risks and other obligations. It should also be analysed that the contract is made as per the changing business environments in order to avoid any future uncertainties. It saves time of both the parties. It is cost efficient that is, economical. With e-contract, there is no need to keep the records in papers. One should read, analyse the terms and condition of the contract carefully before signing it. I have to search sites with relevant information on given topic and provide them to teacher our opinion and the article. Preliminary costing, planning and budget preparation. How to look for Custom Home Builders Adelaide?